Hey, it's Albert at Seattle Gay News on a drizzly late morning in the Emerald City (after a month of no rain, it's a nice change). 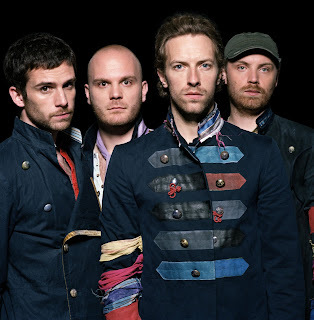 I'm heading to Vancouver BC tomorrow to catch one of Coldplay's back-to-back shows at GM Place, with fellow UK rockers Snow Patrol slated as the opening act. Safe travels if you're also headed up north this weekend. Tomorrow's outbound train to Vancouver is completely sold out, but there are Amtrak charter bus spots available. Check the "rideshare" on Craigslist for last-minute carpool opps. If you're looking for a hotel to crash at, and not on a tight budget, I recommend Opus, Loden, Pacific Palisades, Listel, or L'hermitage. Again, these aren't budget hotels but some of them are offering great summer and/or economy-strapped specials. Tell them Seattle Gay News sent you. I'm pre-funking at the Granville Room and Chambar right before Sunday night's performance - both are cool places to hang before or after a show. Look for a review of Coldplay and Snow Patrol in the June 26 issue of Seattle Gay News. It is really amazing. Really this is very interesting blog post here.... your blog is so interesting for reading. It contain very unique and very helpful information. Thank you so much that for you shared those things with us.